Mortgage after bankruptcy is something that no one really hopes to get. You are right in assuming lenders do not like to see a bankruptcy on a credit sheet when offering loans, especially long term, housing loans. It is, however, possible after a waiting period. What you need to understand is that there is no need to completely give up on the dream of owning a home. Understanding mortgages after bankruptcy will put you in a better position for a future home. The normal waiting period after a bankruptcy filing, especially a Chapter 7, is two years. Here are a few options that can be quite good when you complete two years. 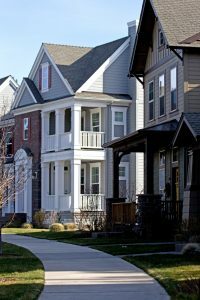 Federal Housing Authority Loans are the ones that are backed by the federal government and come with a relatively cheap rate of interest. The loans are open to those who have filed for bankruptcy before and even accept applicants who do not have a great score. A 640 score is usually sufficient, but they can even work with a 580. There are cases where people file for bankruptcy when it is no fault of their own. If you fall into this category, you might be able to convince the lenders that the bankruptcy filing happened beyond your control. You might be able to get a 12-month exception where you can actually get a mortgage within 12 months. Chapter 13 is a restructuring bankruptcy where your loans have to be repaid under a new plan. You will be eligible for a loan right after you show regular payments of 12 months in a row of your repayment plan. The idea is to slowly rebuild your debt. You need to, in the two years, build some positive points on your credit sheet. Get a credit card, even a small time loan and pay them back, maintain a perfect score after bankruptcy, you will eventually get there. Contact our Houston bankruptcy attorney to find out how to proceed with debt relief services and better protect your chances at a future mortgage.